Enhancing even the most modest of spaces, the Barrett Aluminium Side Table in Black is a stately statement piece you are sure to love. Set up your own perfect outdoor living space by adding the modern excellence of the Barrett Aluminium Side Table in Black to your outdoor furniture setting. 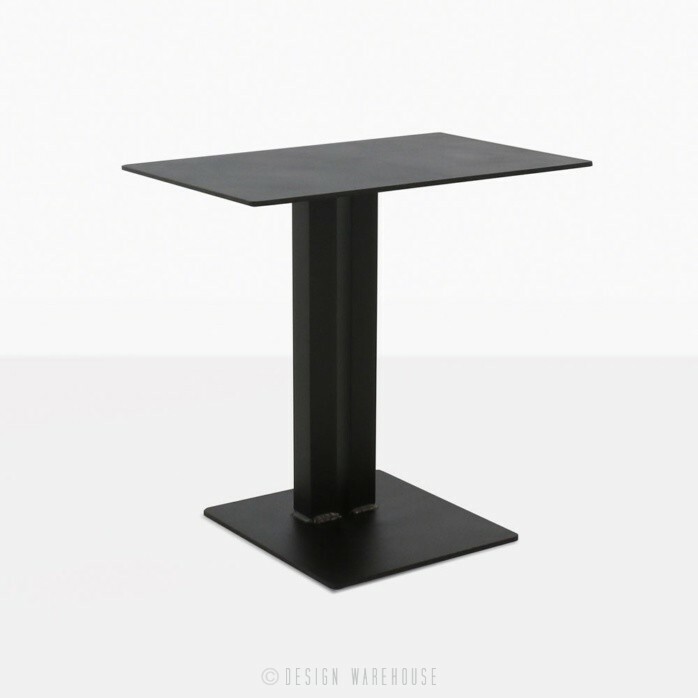 Featuring a pleasing rectangular table top with two panelled legs and smaller square base, the Barrett Side Table is completely made from striking powder coated aluminium in Black matte. Powder coating makes the lightweight aluminium defer erosion, corrosion and keeps it looking better for longer. In this case, the black matte is so attractive and handsome, you’ll love how chic and versatile it is, filling any space with a clean and subtle style. 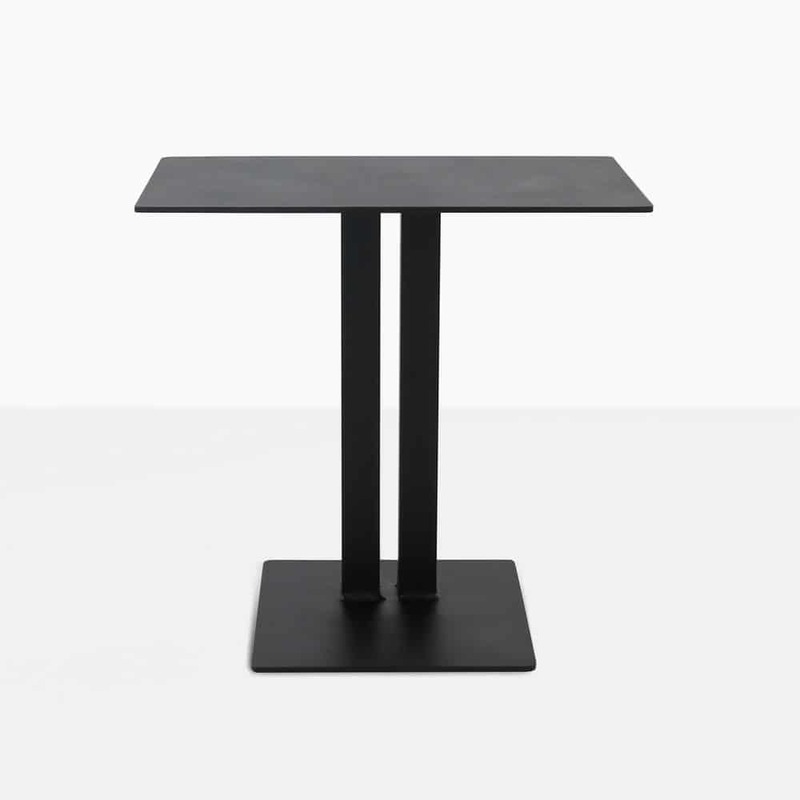 Our Barrett Side Table looks in black incredible alongside other powder coated products. Look at our amazing Mykonos range of sectional furniture for the outdoors, adding the Barrett Table to this illustrious collection will be the icing on the cake to an already polished look. The Barrett Black Aluminium Side Table is a great choice for mixing and matching, enhance your wicker sectional, such as the Zambesi for a bold contrast of materials with the addition of this handy and convenient table! This is a table that will augment and improve any setting it is part of. The Barrett Side Table is the perfect size for both a small balcony – just right for a relaxing chair and table – and adding to a larger collection in a bigger space. We also love the Barrett for use indoors as well as out! Try this sleek little number in your sun room or office as a perfect space for a vase filled with your favourite flowers or to serve casual drinks and nibbles on. This charming Side Table is also available in gorgeous white, giving you even more choice when planning your setting. At Design Warehouse, we are proud of our products. Our furniture spans many different styles and materials but all carrying the big tick of quality, comfort and luxury. We wouldn’t have it any other way.